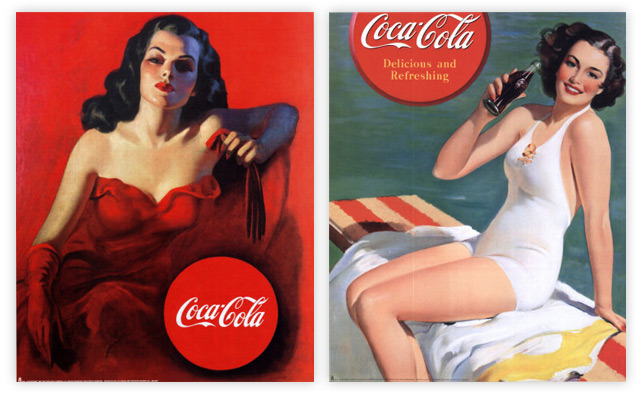 This sparks a memory of modeling days at an Illustrator Photographer’s shoot for a Coca Cola add. I was blonde, brown-eyed, dressed as a cowgirl, sitting on a fence with a saddle beside me, and a bottle of Coke in my hand. The photo was published on the full back cover of a major women’s’ magazine. It was a short term modeling career while going through nursing school. But, good memories, a little money, and a lot of fun. A commitment to nursing won out. Probably a good thing! This entry was posted in My Blog, My Entries and tagged a coke add, fun memory, memory of modeling, nursing school, nursing won out, re-blog, short modeling career, when skinny didn't rule, women's magazine. Bookmark the permalink. 2 Responses to When skinny didn’t rule…….remember when? For sure these models have a whole lot more curves then their modern counterparts and it looks healthy. Agree wholeheartedly with your comment!